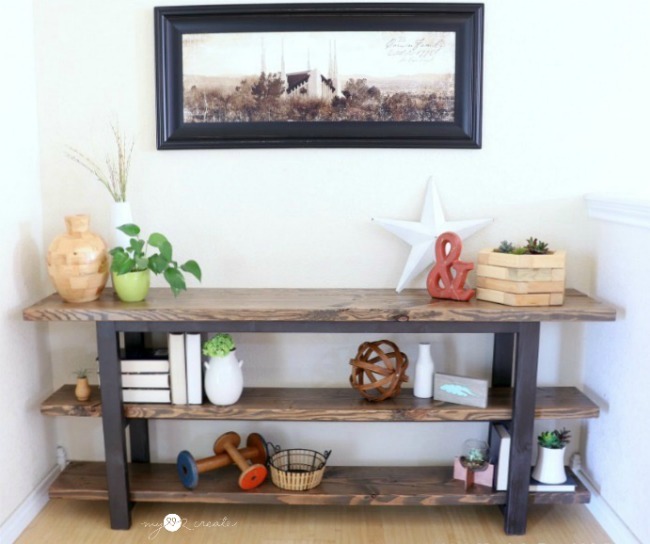 I am super excited to finally share my DIY Console Table with you!! I sort of love it!! And the good news is that it is a simple build that has a beautiful impact in your home! I am sharing the full picture tutorial over at Remodelaholic, with some good tips to help in the building process, so check it out as well! 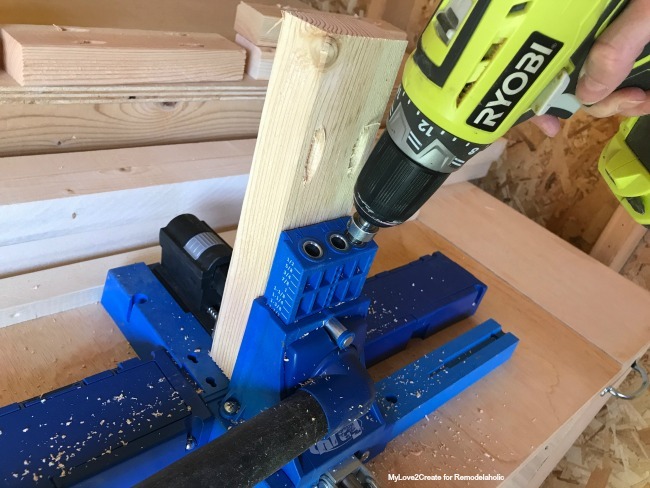 Cut all your wood to the specified dimensions using a Kreg Jig and drill 1 1/2'' pocket holes into each end of your 4-2x2 apron supports and your 6 rails and 1 middle support pieces. 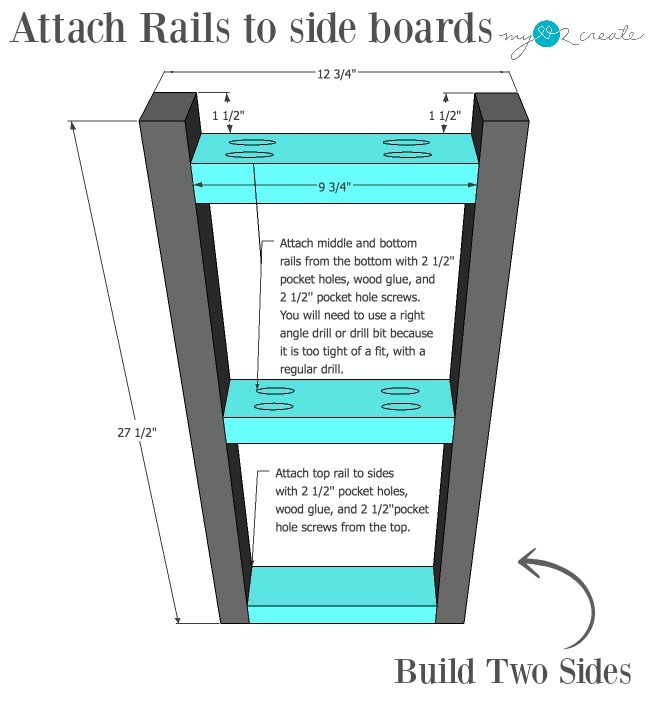 Build two sides by attaching your rails to your sides with pocket hole screws. Using wood glue and 2 1/2'' pocket hole screws attach your top aprons and support pieces to your sides. Note: You will also add your 2x3 @ 9 3/4’’ middle support board in the center of the top aprons (not pictured), I added it as a last minute support board. Step 4: At this point I did my finish on my frame and the top and shelf boards before I proceeded with the rest of the build. Step 5: Add top and Shelf boards to frame. Note: You will also add your 2x3 @ 9 3/4’’ middle support board in the center of the top aprons. Attach all shelves with 2 1/2'' self tapping screws from underneath drilling through the side rails and supports. Use this as a guide of where to place the shelves to center them on the frame. You are done! 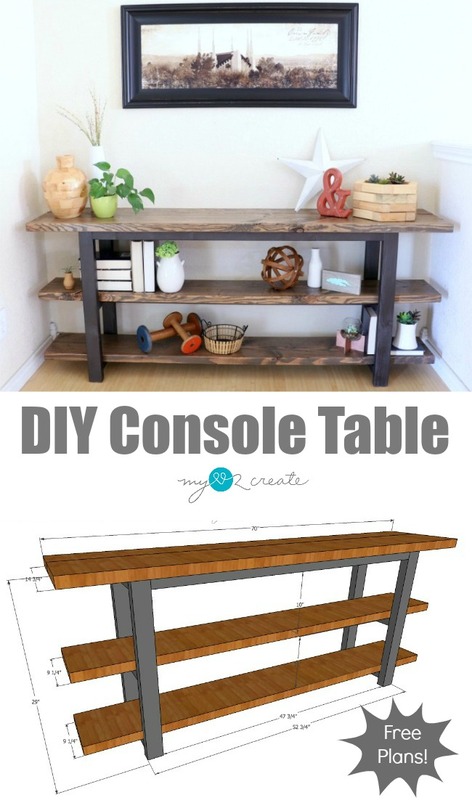 Enjoy your beautiful new DIY Console Table!! Be to pin so you can save these plans!! 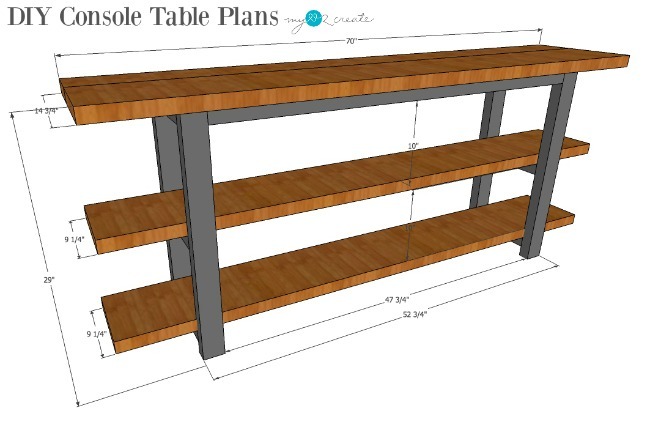 Click here for a PDF Version of the DIY Console Table Plans. Thanks for stopping by and remember to visit Remodelaholic for more tips and photos on this build!